So we have partial view that holds collection of customers. We want to increase the size of this collection by adding new customer on other partial view. 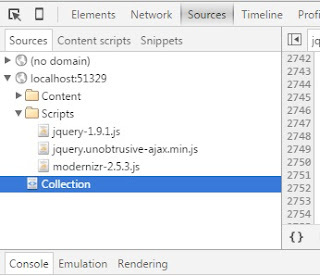 Using unobtrusive ajax call to controller action method we can achieve it quickly and without having to reload the whole page. After you load the page go to developer tools(F12 on most browsers - yes even on IE and go to network to find out if libraries have been loaded correctly).